Whilst researching Deptford I purchased an old indeture relating to the lease of numbers 26 & 27 Edwards Street, Deptford. It was only on closer examination that the owner of the properties was none other than William John Evelyn of Wotton, Surrey, a direct decendant of the famous diarist John Evelyn! The Lessee was Henry Wilson, Publican of the Prince of Wales Public House, 31 Blackfriars Road, Southwark. The lease was set to run for a term of 80 years from the 9th July 1864. Wonderful. William John Evelyn (27 July 1822 - 1908), a descendant of the diarist John Evelyn eldest son of George Evelyn and Mary Jane Massy Dawson. He had inherited the large Wotton estate in Surrey, and was often referred to locally as "the Squire" Went to Cheam School from 1835 until 1837 when he went to Rugby, and from there to Balliol College, Oxford where he obtained his Masters degree in 1844. 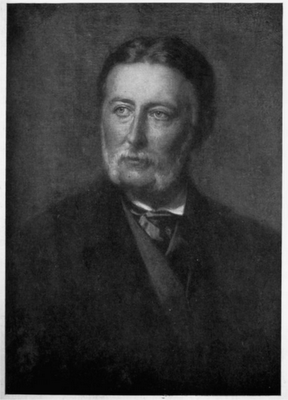 He was elected as a Conservative Member of Parliament for Western Surrey at a by-election in 1849, and re-elected in 1852. He stood down at the next (1857) general election. He later returned to the House of Commons as Member for Deptford in 1885, resigning in 1888 by becoming Steward of the Manor of Northstead after falling out with his party as a result of events in Mitchelstown, Ireland where police shot on protestors and killed three people. Subsequently Lord Salisbury's government accepted the police version of events and refused to condemn their actions; Evelyn was horrified by this and resigned from parliament. The by-election which followed would be contested by his good friend Wilfred Scawen Blunt from an Irish prison. Evelyn thoroughly disapproved of the Boer War, he considered it had been made in the interest of capitalists and that it was unjust and cruel. At the time this could have been thought unpatriotic of him. In 1869, on the closing of the Deptford Dockyard, he purchased back from the Government as much of the site of Sayes Court as was available and by 1876 was turning some of this into a recreation ground for his Deptford tenants In 1886 he dedicated an acre and a half of the Sayes Court recreation ground that he had created, in perpetuity to the public and a permanent provision was made for the Evelyn estate to cover the expense of maintenance and caretaking. In 1884 he sold land then being used as market gardens in Deptford, to the London County Council for less than it's market value, as well as paying £2000 towards the cost of its purchase. This was officially opened to the public as Deptford Park on 7th June 1897. John Evelyn (31 October 1620 – 27 February 1706) was an English writer, gardener and diarist. Evelyn's diaries or memoirs are largely contemporaneous with those of the other noted diarist of the time, Samuel Pepys, and cast considerable light on the art, culture and politics of the time (he witnessed the deaths of Charles I and Oliver Cromwell, the last Great Plague of London, and the Great Fire of London in 1666). Over the years, Evelyn’s Diary has been over-shadowed by Pepys's chronicles of 17th-century life.Evelyn and Pepys corresponded frequently and much of this correspondence has been preserved. by The Rev John Evelyn Boscawen and Williams mother Mary Jane Evelyn .It was found in a £1 misc lot at an auction in Leicester 15 years ago. I can send you a copy but you are quite welcome to the original. I have only just found this splendid site on Deptford History and thanks so much for everyone's input. I am very interested in the General Steam Navigation Co and have a photo of the walled garden of the Old Stowage House which was taken over by the Deptford Power Station (this was the first AC/DC power station to be built). It was rather disappointing to me that is little mention of this old steamship company and it lasted up till the sixties. When it closed down all the old documents were burnt in the yard which I thought was tragic. I managed to salvage one book giving the ships of the time and all their dimensions and criteria. I would love to send you the pictures I have if that is of interest. No 29 The Stowage could probably have been a part of the Gun Tavern.